to shoot extremely fragile paint. Redesigned with simplicity in mind, the traditional LPR has been replaced with optimized flow control and uniformed force bias, boosting reliability and performance, as well as simplifying service. Through advancements and feedback, the new Flex Face Bolt that features a 2-stage firing cycle allowing for a slow, soft first stage for optimal paint handling and speed boost second stage to maximize valve lift operation. The new FL-21 Bolt System combined with the proven M Series platform is the next level of advanced performance. 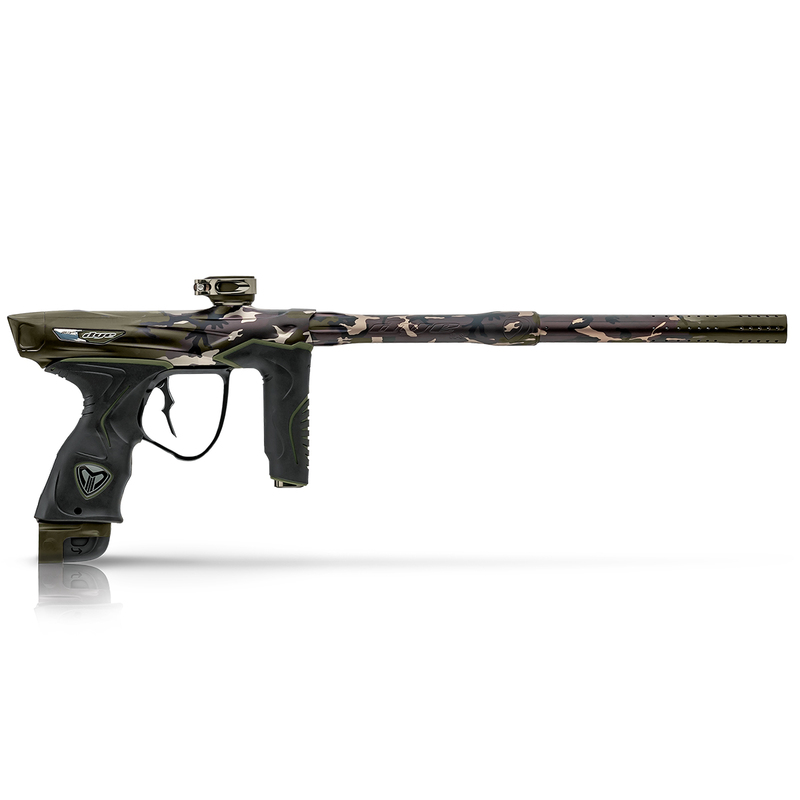 DYE’s new UL-S Barrel back gives you more control and more accuracy with an extended 7.9 inch control bore. 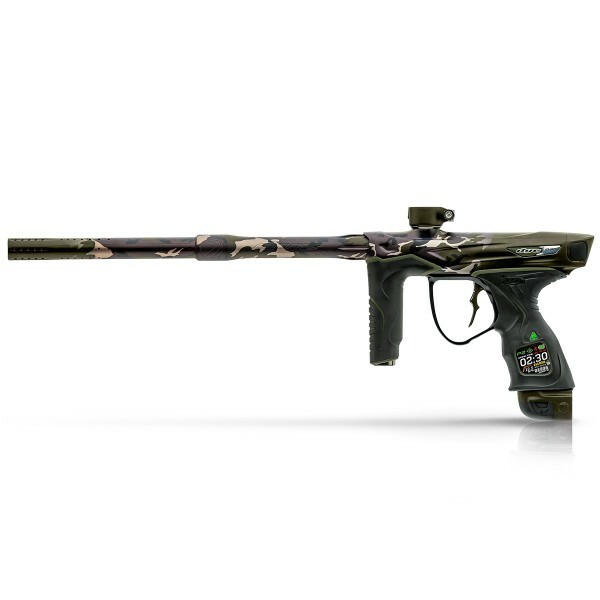 The UL-S control back uses multi-stage precision honing, the most accurate and consistent finish available in paintball, eliminating ball spin, and improving accuracy. Self-aligning two piece construction ensures properly centered assembly between control bore and steady port tip. This combination of precision components provides an extremely quiet shot, superior accuracy and total performance. 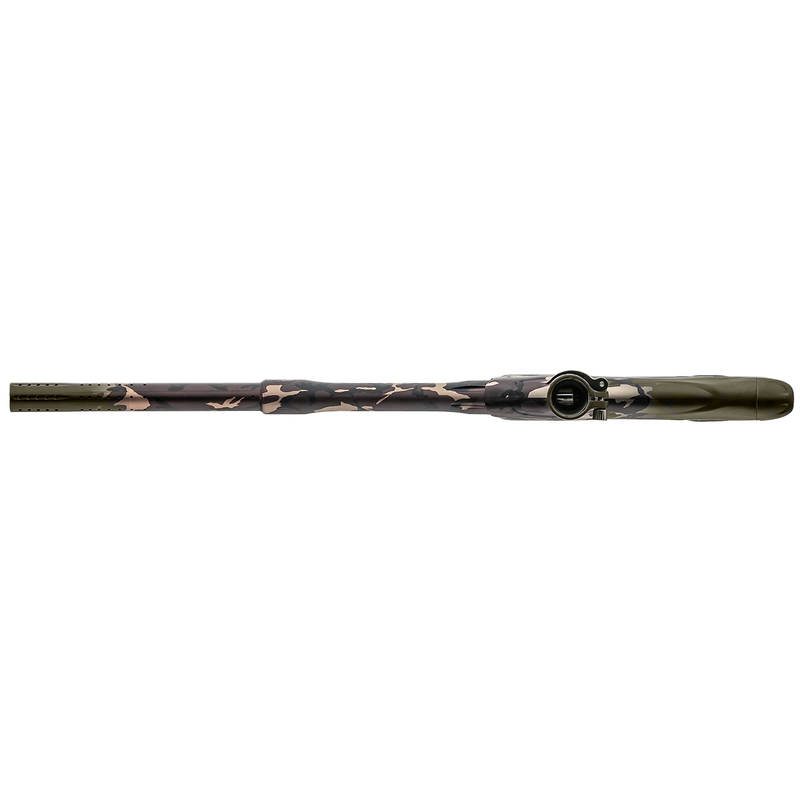 The DYE Ultralight Barrel System is designed to give you the ability to easily change barrel length and bore size to match your performance needs. 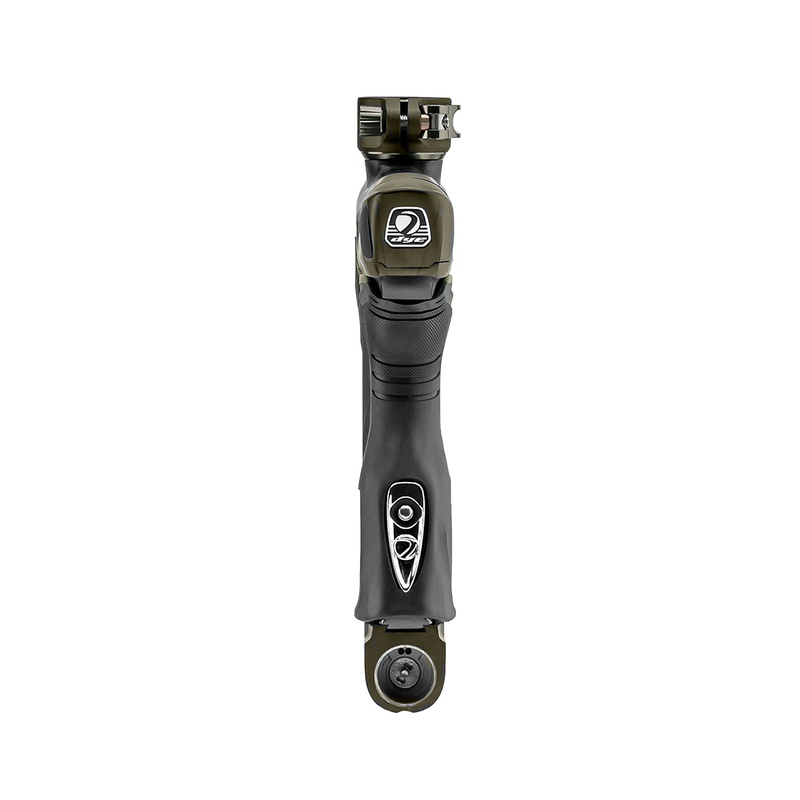 Weiterführende Links zu "M3+ WOODLAND"
82,95 € * inkl. MwSt.